The Butterfly Glade walk through exhibit which opened in March 2015 is dedicated to the loving memory of a very special little girl, Isobel Rose Parmenter. Born on 30th November 2012, Isobel had been a bright, thriving, happy and healthy little girl. Isobel loved nothing more than having cuddles with her mummy and daddy, watching Peppa Pig and Mr Tumbles and snuggling up with her favourite “blanky”. She loved drawing and colouring, painting and putting her stickers on anything and everything she could. She loved animals, her favourite being elephants or “hufty’s” as she knew them as and treasured her favourite book, a big purple book filled with lots of pictures. She had a wicked sense of humour and an infectious laugh, lighting the room up wherever she was and whoever she was with. Izzy, “a butterfly to remind us even though we are apart, your spirit is always with us, forever in our hearts”. Visitors can journey through the butterfly house with the chance to see the butterflies up close to enjoy the amazing colours of these delicate insects. The location for this exhibit is next to our Cherry crowned mangabey’s; just around the corner from the bottom viewing area for ‘Bears of the Rising Sun’. Not only does the exhibit house the beautiful butterflies but it is home to a number of colourful exotic plants and flowers. Butterfly Glade is another self sufficient enclosure with a bio-mass boiler contributing to our green zoo! Main image shows the Heliconuis charitonius butterfly also known as the Zebra long winged butterfly. Photo opposite of the Heliconuis melpomene butterfly with the common name of the Piano key butterfly. 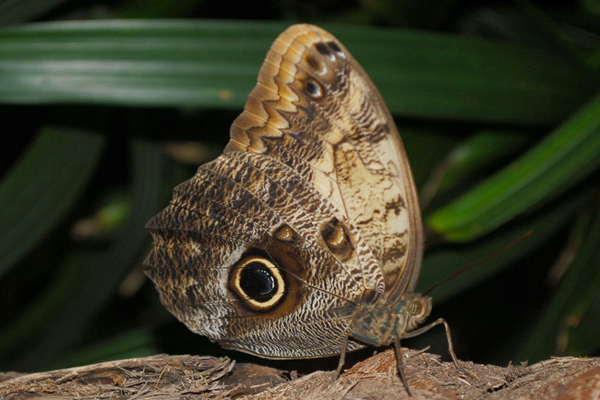 The owl-like eye patterns on the wings of the owl butterfly are a type of camouflage known as mimicry. 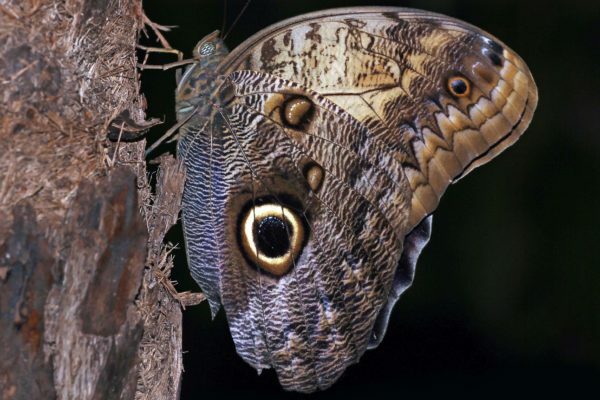 Other animals will avoid going near large eyes that resemble a predator, keeping the butterfly safe. They also prefer to fly at dawn and dusk in the dark forests of South America, and only ever travel small distances to avoid being spotted by flying predators. Their caterpillars are small and brown, and will camouflage against plant stems. 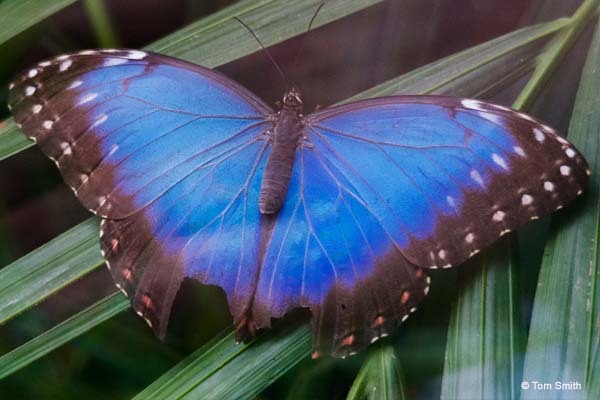 The blue morpho butterfly's wing span can reach 20cm. Morpho butterflies frighten away predators by flashing their wings rapidly.